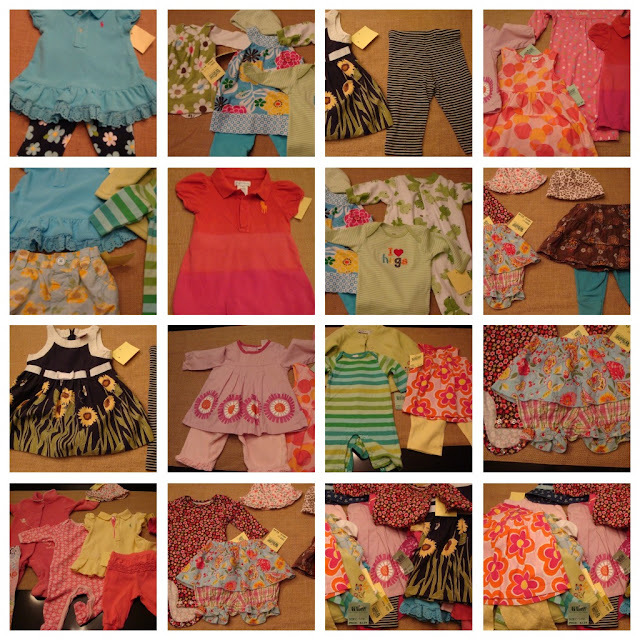 Sherri Cassara Designs: Bargain baby clothes! Our Mother's Day shopping spree for the new baby girl was quite successful and so much fun! After searching online for baby stores in our area we headed up to Manhattan Beach where there were four baby stores (plus Pottery Barn Kids) in a 2 block area. Our intention was to just look around and maybe pick up an outfit or two for fun. The first store we found was a re-sale store (much to our surprise) and it turned out that they were having a 50% off sale for Mother's Day. How great is that? So instead of prices like $3.99 and $1.99 (already a steal, right?) our purchases ranged from .50 to $3.00 for the most expensive item. The clerk had to ring us up in two transactions because we bought so many things! Total price for 38 items: $76.96. We found a lot of Ralph Lauren Polo, some Gymboree, Carters, L.L.Bean, and quite a few upscale designer brands. I remember buying my daughter's baby clothes before and after she was born and spending a lot of money on clothing she barely wore. We were thrilled that we were able to find such darling clothes for so little. The clothes were all in good shape (barely worn) and without any stains. After we left the re-sale store we went check out the other stores on our list. It was fun to look but we already had what we wanted and after seeing what we could get at the re-sale store there was no way we could justify the prices in the other stores. We had a great day shopping and I can't wait to see the new clothes all lined up neatly in her closet! SO cute!!!!!!! I could seriously just keep going through them over and over. 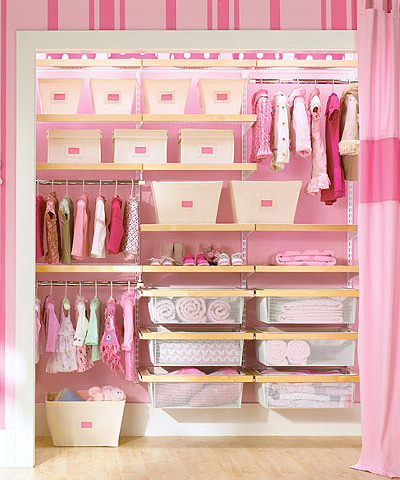 We have SO many outfit options! I took all the tags off last night- ready to be washed....and organized! What a find! I love all of these and the Ralph Lauren dress with those striped leggings is my favorite. My daughter and I always slow down and look at baby clothes at Target. They are so inexpensive and the fabrics feel surprisingly soft. Darling outfits! I cannot believe the great prices. What a score! How adorable and what great bargains! Those outfits are sooo cute! 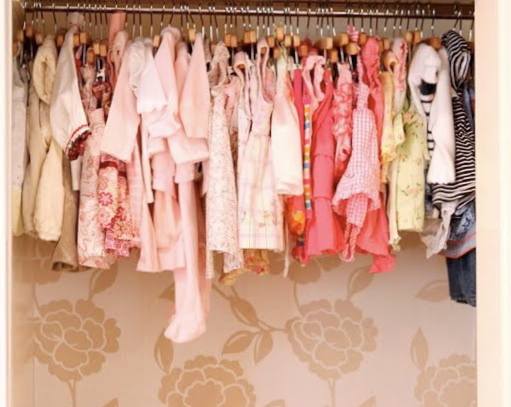 Babies grow out of their things so quickly, it makes perfect sense to find the best options you can! (I spent a lot of time at Manhatten Beach as a teenager, looking at boys, not baby cloths)! You found some great shops, your daughter has great taste!